In doing so, she has to confront the huge hole her sister's disappearance left in their lives, leaving just one question unanswered: what really happened to Gabriella? Such a wonderful book. I couldn't stop reading, I had to know what had happened and why. The final chapter left me so sad, my sorrow mirrored the emotions of the main character. This is a story about family, about grief, about secrets. It shows the impact the loss of a child has on each member of the family. I loved how the author showed Anna at both ages, and although I didn’t really like 12-year-old Anna, I think the author got her right. Both the town itself, and its residents played a role in this mystery, and Quintana gave them both the depth that was needed. The book seems to have a slow pace, but that seems to make it more emotionally gripping. It is still a fairly fast read, because you didn’t really want to put it down. For a debut novel, this was good! I am looking forward to more from this Jenny Quintana. 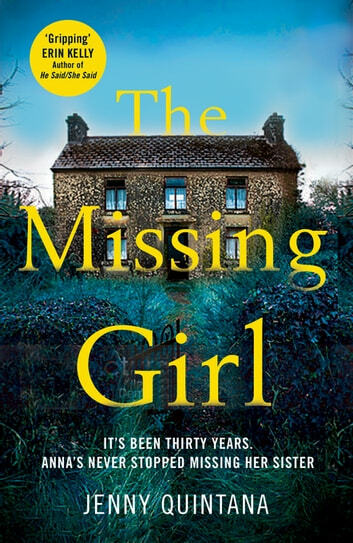 The Missing Girl is a slow-burning, captivating mystery that takes us into the life of Anna Flores who upon returning home to settle her mother’s estate decides to probe, explore and finally piece together what actually happened to her sister Gabriella on the afternoon she disappeared thirty years prior. The writing is crisp and precise. The characters are troubled, determined, and genuine. And the plot, using first-person narration and alternating between 1982 and present, builds nicely and creates tension as it twists, turns, and unravels all the behaviours, actions, motivations, relationships, and personalities within it. 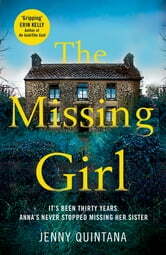 The Missing Girl at its core is a novel about family, friendship, secrets, kidnapping, and murder that highlights the emotional and psychological devastation caused by a missing child and the resulting finger-pointing, fragility and dynamics between family members, friends, neighbours, newcomers, and the community. It is an evocative and impressive debut for Quintana, and I look forward to reading what she comes up with next.